The partnership between Velodyne and Phoenix took to the skies only six years ago, but already it has led to some remarkable innovations. 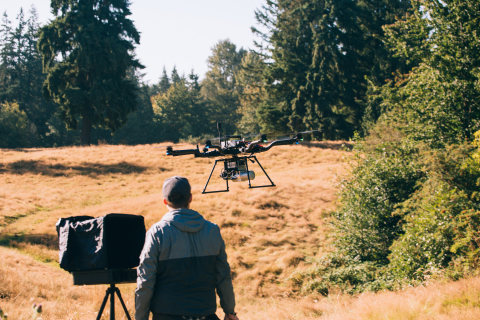 Together, the two companies launched the industry's first commercial UAV LiDAR system, establishing today’s broad use of LiDAR-enabled Unmanned Aerial Vehicles (UAVs). Phoenix, which builds custom LiDAR systems by integrating various sensors, GNSS relative position receivers, Unmanned Aerial Vehicles (UAVs) and more, went on to launch the industry’s first vertical take-off and landing (VTOL) fixed-wing UAV LiDAR system, the TerraHawk CW-20. For this innovation, Phoenix again chose a Velodyne LiDAR sensor. The TerraHawk allows surveyors to take advantage of the speed and stability of a fixed-wing UAV, while using VTOL to protect equipment in remote environments with no runway access. One cost-saving innovation includes Phoenix’s real-time 3D point cloud visualizer, which helps surveyors confirm data quality in real time to avoid errors, and to make flight adjustments while still in the field. Another “first” is their cloud LiDAR post-processing platform, LiDARMill, which significantly reduces the complexity and expense of post-processing by allowing users to upload raw mapping data and to download processed data files in the industry-standard LAS format. 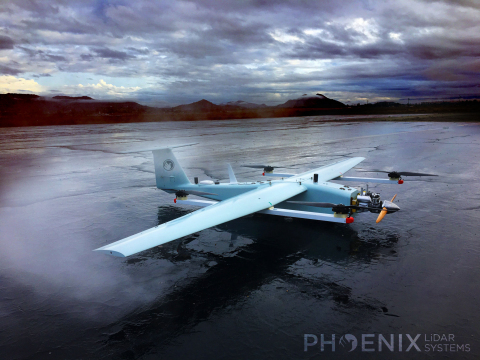 These accomplishments have established UAV LiDAR as a key resource for the aerial mapping and surveying industry, with Phoenix and Velodyne delivering a host of industry firsts. Customers the world over are able to leverage Phoenix’s systems to easily and inexpensively collect detailed 3D topographic information for a wide range of commercial and research applications, like mapping power line corridors, monitoring infrastructure, conducting ground surveys beneath dense vegetation, and more. Phoenix technology helps organizations like the Colorado DOT to inspect transportation infrastructure, and companies like CSX to detect shifts in rail systems. UAV service companies, like North Dakota-based SkySkopes, perform a variety of industrial drone inspections, adding LiDAR to their offerings last year. Meanwhile, Velodyne LiDAR is matching the furious pace of innovation, introducing products designed for the UAV industry that are smaller, lighter, and more powerful. These include the VLP-16 Puck, which delivers 16 laser channels and 100 meters of range in a small form factor, as well as the VLP-16 Puck LITE, which further reduces payload by weighing in at under 600 grams. Furthermore, Velodyne recently announced a 50 percent cost reduction for its VLP-16 Puck that will make the company’s most popular LiDAR sensor even more accessible. Next week, Phoenix LiDAR will meet with industry leaders and members of the LiDAR community at the International LiDAR Mapping Forum (ILMF) in Denver, Colorado. The company will present Phoenix hardware systems and 3D data sets, and also the Phoenix Software Suite, which automates the more complex aspects of LiDAR mapping, from flight plan to acquisition to post-processing, enabling companies to streamline their LiDAR workflows and to expand their endeavors. Fueled by applications across verticals, the development of drone and laser technologies will continue at a rapid pace. To capitalize on this forward progress, industry leaders increasingly rely on their own experience and vision along with mutually beneficial partnerships. If the history of collaboration between Phoenix and Velodyne is any indication, both teams look forward to maintaining their lead in developing their respective technologies. Phoenix LiDAR Systems is an industry leader in building customizable, survey-grade UAV LiDAR mapping and photogrammetry systems. To help clients scale their LiDAR mapping operations, the Phoenix Software Suite streamlines the more complex aspects of LiDAR mapping, from flight planning to acquisition to post-processing, enabling clients to collect detailed, 3D topographic information for a wide range of commercial and research applications, including infrastructure monitoring, utility mapping, forestry, mining, and more. For more information, visit www.PhoenixLiDAR.com. 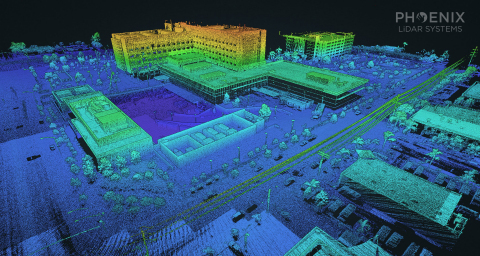 Founded in 1983 and headquartered in Silicon Valley, Velodyne is a technology company known worldwide for its real-time 3D LiDAR computing and software platforms. The company evolved after founder/inventor David Hall developed the HDL-64 Solid-State Hybrid LiDAR sensor in 2005. Since then, Velodyne LiDAR Inc. emerged as the unmatched market leader of real-time 3D vision systems used in a variety of commercial applications including autonomous vehicles, vehicle safety systems, mobile mapping, aerial mapping, and security. Its products range from the high-performance, surround view Ultra-Puck™ VLP-32, classic HDL-32/64 and cost-effective VLP-16, to the upcoming, hidden Velarray™. Velodyne’s rich suite of perception software and algorithms are the key enablers of its perception systems. Velodyne supports customers from offices in San Jose, Detroit, Frankfurt, and Beijing. For more information, visit http://www.velodynelidar.com.